On April 28th and 29th, New York Apologetics will be hosting the D2D Apologetics Conference at Smithtown Christian School. Friday night will consist of a two hour question and answer session geared toward answering the the tough questions that the youth have. Saturday will consist of various apologetics presentations on several key topics that Christians should be ready to give answers for. The presentations will include evidences for the resurrection, the reliability of the bible, and the existence of God. 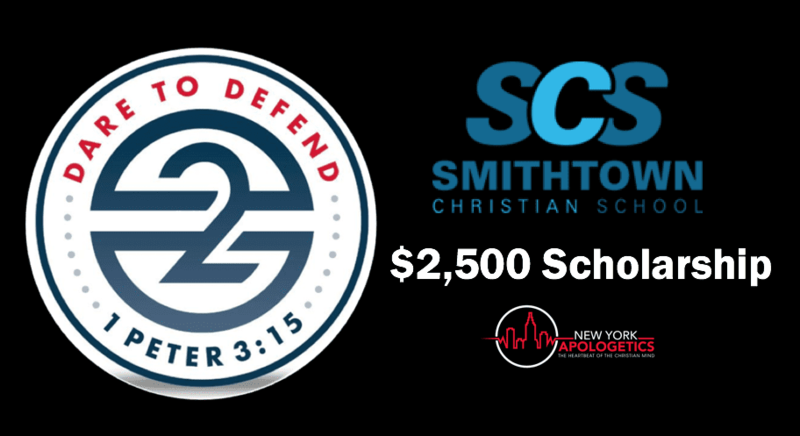 In addition to that, New York Apologetics will be giving away a $2,500 scholarship to one parent of a Smithtown Christian School student just for attending. Each SCS parent that attends will be entered into a raffle to win the scholarship which will be picked on Saturday. This is a tremendous opportunity to learn the reasons we have for the Christian faith and be able to answer the questions your kids might have. Our children are facing a society hostile to Christianity and it is our obligation to train them up in the way they should go. This conference is designed to do just that.